Weighing, wrapping, and labeling systems - from manual hand wrap stations to fully automated wrapping solutions. Perfect for backroom applications and bakery applications in the grocery retail store. Consumables matter for long-term cost of ownership return on investment. METTLER TOLEDO utilizes its expertise in scientific anlysis to present the chemical degredation of various quality films, and the impact that harsh backroom environmental factors have on film properties. 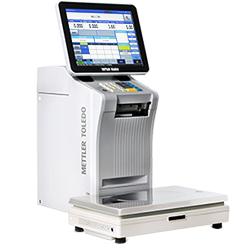 As a leading global manufacturer, METTLER TOLEDO presents lean manufacturing principles that can be applied in the meat backroom to streamline processes and increase efficiency.